Eleanor and Park is suppose to be really good. I've heard excellent things about it. Come visit me as well. I've been curious about the Ally Carter books and Fangirl. And I've been seeing a lot of the Burning Sky lately :) Great haul! I love Eleanor & Park! I read it recently and it was really good. I'm reading Fangirl at the moment, and that is also an amazing book. And the Gallagher Girls series is great. Happy reading! I just finished Fangirl and loved it. Things I Can't Forget sounds great, too. I'm glad you're enjoying Lola. I love Stephanie Perkins. Great haul and happy reading! I heard great things about some but haven't read any I confess. Happy reading! The burning sky sounds awesome and Fangirl looks adorable :D Good luck with school! 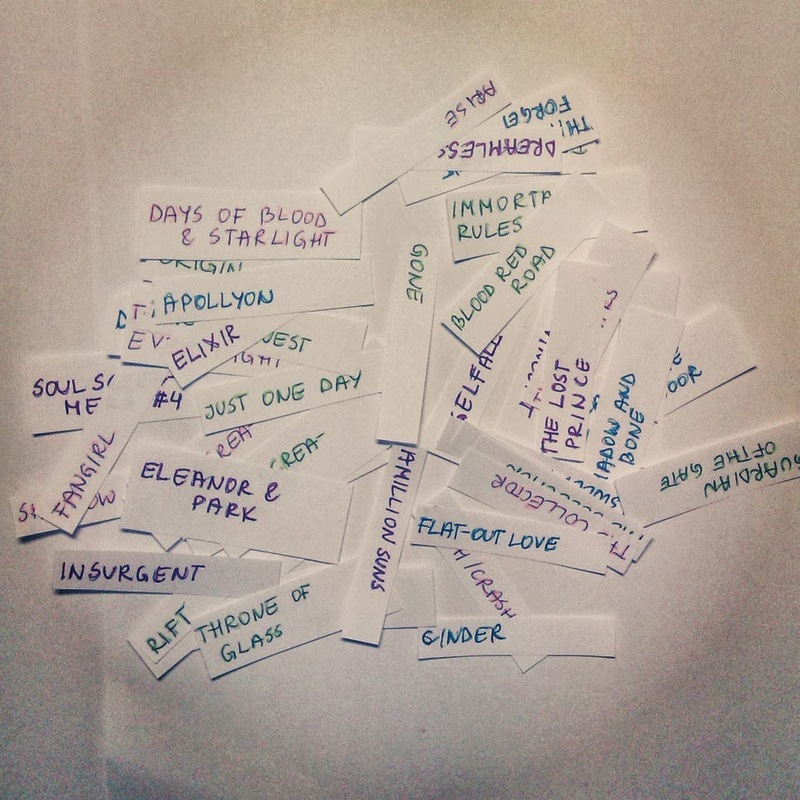 That whole picking books randomly with slips of paper thing is such a great idea! :D I usually just pick the first book my finger lands on with my Nook, and then skip to a different book if I get bored lol. Probably not the best way to get things done, but it's worked so far. Still, your idea makes it more fun so I'm probably going to be trying that in the future. Thanks for stopping by my STS! Fangirl is supposed to be great! I also heard good things about A Little Too Far. Happy reading! Fabulous stack! 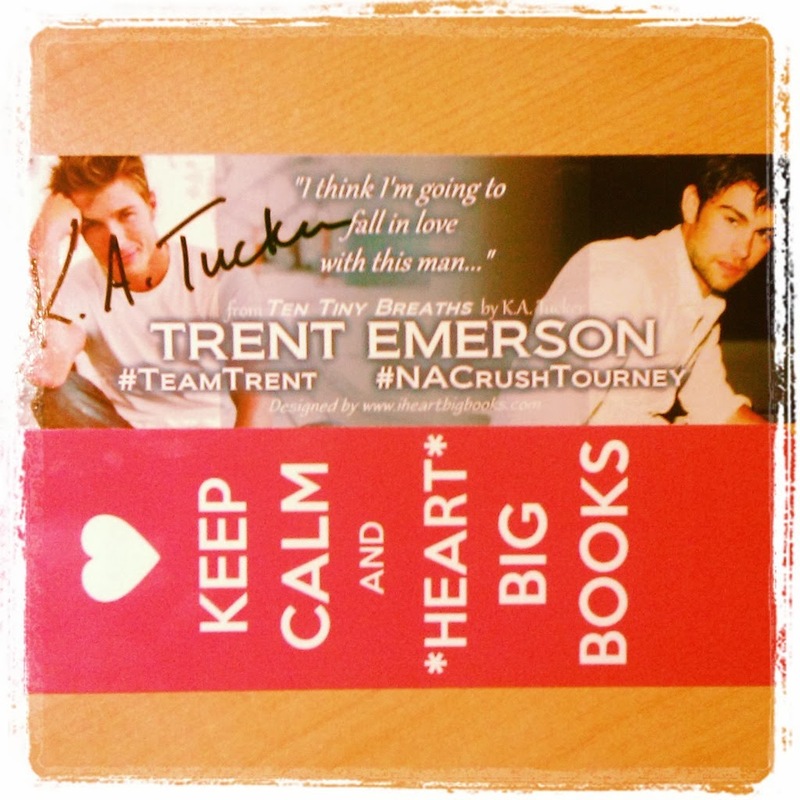 I have Fangirl from NetGalley and need to read it. I was hoping to get to it this past week, but looks like maybe next week. We'll see. I've got tour books to read first. :) Thanks for stopping by my STS! Followed you on GFC, Twitter, and GR. I really want to read Fangirl :-) Enjoy! I've been meaning to pick up the Gallagher Girl's series for ages, but everytime I'm about to get them I forget which one is the first. Maybe one day :) Enjoy your new books, I really liked Catching Parker but I haven't read the follow-ups. the Burning Sky look awesome. You got amazing books this week. happy reading. 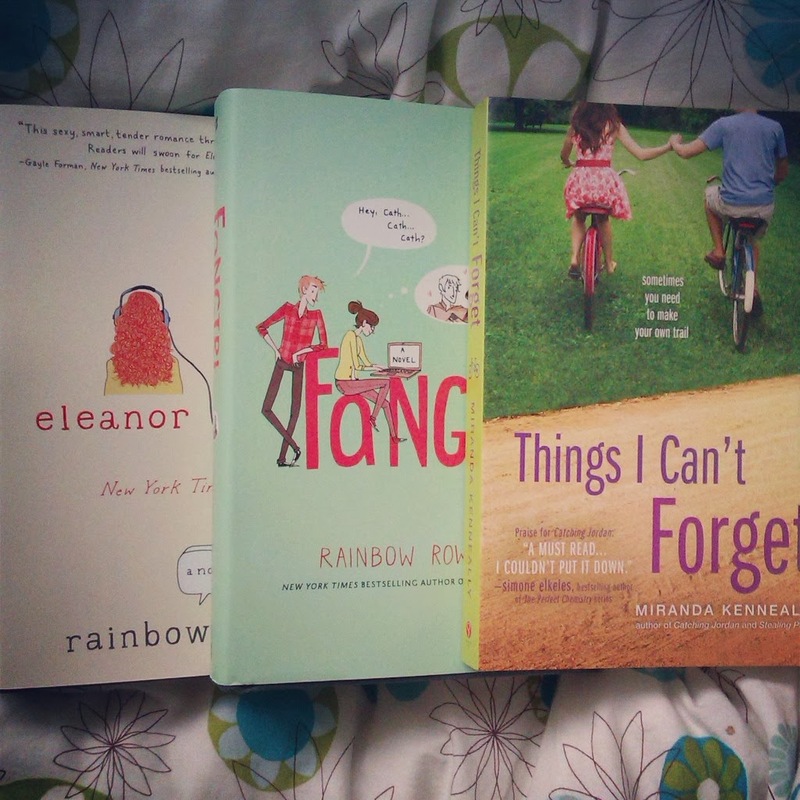 OH MY I WANT ELEANOR & PARK and FANGIRL! I need to buy them both! So pretty! and yeay, Lola and the Boy Next Door is a GREAT PICK! hope you enjoy it! Good luck with your final year of school! What an exciting time! You're smart to make that your priority, and you certainly don't need to apologize. I loved Fangirl, and I'm planning to read E&P this week. I hope to read The Burning Sky soon, too, since I've heard so many great things about it. Great books! I really want to read Fangirl and Elenor & Park. I hope you enjoy, Siiri! Siiri, I haven't been the best commenter lately either! I've been on a lot of vacations and then when I get back work (full-time) and laundry are the primary things in my life. *sigh* So I totally get it. Aha! You've bought all Rowell books. If I will like Fangirl, I will buy E&P immediately. And don't worry about not being active on blogging. Don't let blogging consume your life. :D I for one took a 3-5 day break because I want to concentrate on reading and school. Well, obviously I approve of this haul. You got three of my very favorite contemporary novels. Just be warned that the heroine of Things I Can't Forget is a piece of work and a hypocrite, but she's learning. 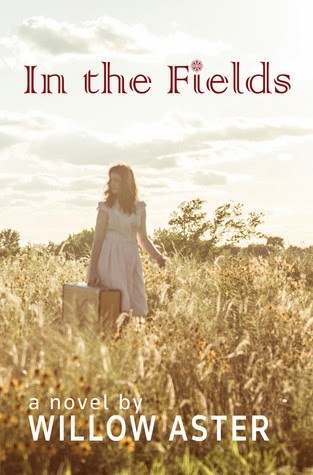 I loved the character arc, and it was just so true to my emotional journey, even if our backgrounds were different. Also, The Burning Sky is a total swoon-fest. LOVE the way you picked your latest book! I'm such a moody reader that I don't think I could handle doing that. BUT such fun! And glad you picked Lola. That's a good one. CRICKET is one of my favorite book boyfriends, especially because he's not at all the stereotypical bad boy. I should start my posts with the apology you put in this one. I have not been a great blogger or commenter through the past weeks either. I've actually become kind of flakey about that - telling people I'll comment that day and then not comment for a while. *sigh* Dude, I'm amazed you can manage university, a part-time job, and your blog. I was always behind when trying to do that myself. FANGIRL!! ELEANOR & PARK!!! :D :D:D: :D:D: You haven't started any of them yet, right? You already know my opinions about them and I want to read your reactions as you get through them as I read about you and Lola! I'm curious to know what you'll think of A Little Too Far. That one apparently made the USA Today bestsellers list and has been pretty popular among bloggers, I think. I know you read NA and Lisa Desrochers was pretty good with sexual tension, if I'm remembering her YA books properly. 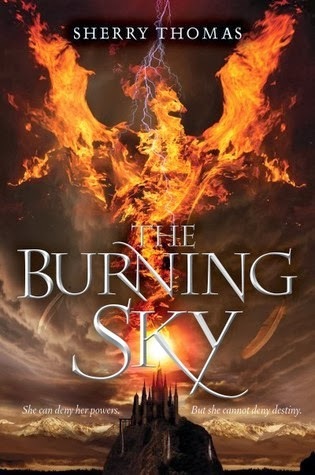 Also curious to see how you'll like The Burning Sky and Ally Carter's first GG novel. I have the first one but haven't read it or the second one yet. I did, er, read 3-5 though and they were pretty fun. Light. Have you read her Heist Society novels? It's amazing how your reading values change over time, right? There are so many books I read a couple of years ago that I know I wouldn't like anymore. I'm glad you gave Lola a shot even though you didn't have the best memories of Anna. I like this little slip of paper method you've got going for you! :D LOL. I'm just overwhelmed with everything. I ought to manage my time better. Ha! I used to go to work more than two times a week, but this semester I can't afford it. Heh. I know Nick really enjoyed it and lots of other bloggers, too. Lately all these NA titles that have gotten even the tiniest bit attention than the others, have rocketed to the USA Today or NYTimes bestseller lists. I hope I'll enjoy all of the e-books I received that week since they all seem soooooooooo good. Oh, you read them out of order? O.o OK. I usually like to read books in the publishing order so it'll probably take a little more time for me to read 'em :D and nope, I haven't. I hear from Jenny that they're amazing though.